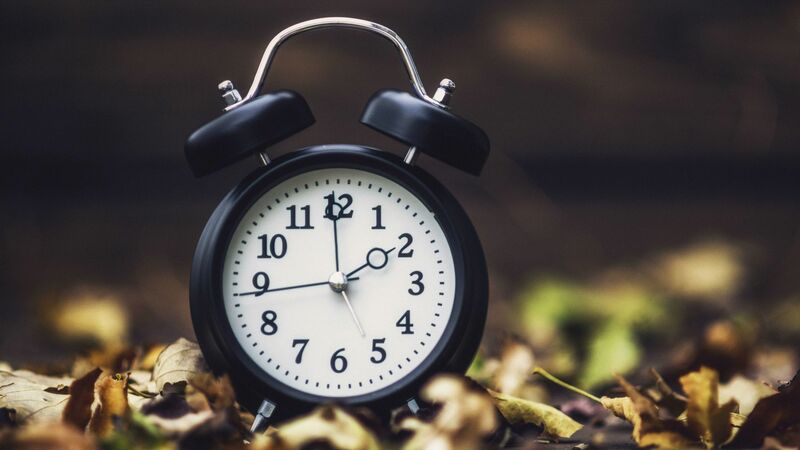 What do you know about the relativity of time? To better understand the theory of relativity it is necessary a deep study of physics and its laws. With Albert Einstein the idea of Universe was totally revolutionized. Einstein’s intuition was about discovering how in reality the forces that were able to attract didn’t exist, but forces capable of pushing were real. Understanding, theorizing and measuring this “push” was the fundamental turning point of Einstein’s ideas. He predicted a force capable of attracting the bodies between them. The masses are able to deform temporal space, creating a whole series of effects, for instance the theory of relativity. According to this theory, time and space have subjective dimensions. Time was also questioned by the philosopher Henri Bergson. According to him, there were two types of time: the historical time and the psychological time. The first is external, linear and measured in terms of the spatial distance “travelled by a pendulum or the hands of a clock”. The second is internal, subjective and “measured by the emotional intensity of a moment”. These theories have influenced not only science but also various fields such as psychology, philosophy and literature. 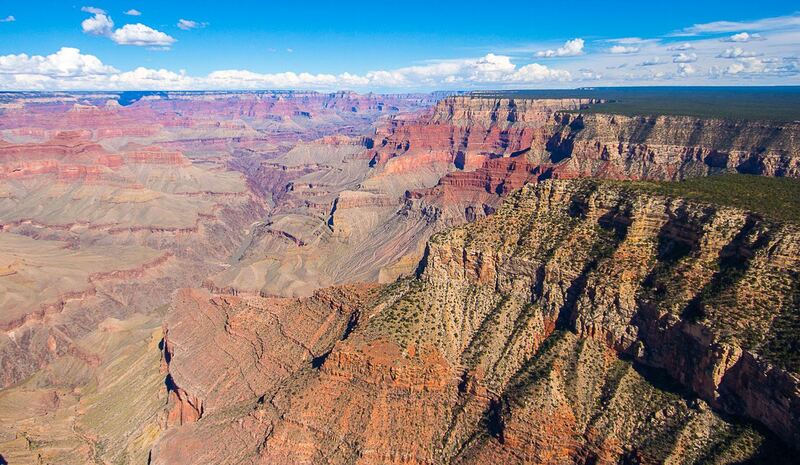 The National Park of Grand Canyon is situated in Arizona (USA). It was opened in 1919 and it represents one of the best natural place of America. What are its natural origins? Because of a powerful erosion, the Colorado River created a sort of huge gorge. Accordingly, the river has carved its way creating a canyon 446 kilometres long, about 1,5 kilometres deep and 29 kilometres wide. This place changes continuously through natural events: powerful rainfalls, show, heat and wind. Furthermore, also the color of stones suffers many changes because of the light: from grey and brown to pink and from red to violet. There are different ways to explore the Grand Canyon: for instance by helicopter or by hiking down to the bottom. However, in summer it is not a good idea because the weather is extremely hot. Animal life in this place includes about 70 different species. You can find squirrels, coyotes, the bighorn sheep, the ringtail cat, the mule deer, reptiles and five types of amphibians. In addition, there are about 250 species of birds. A little curiosity: five Indian tribes live in this region! They are the Hopi, Navajos, Havasupai, Paiute and Hualapai. The importance of being… Oasis! 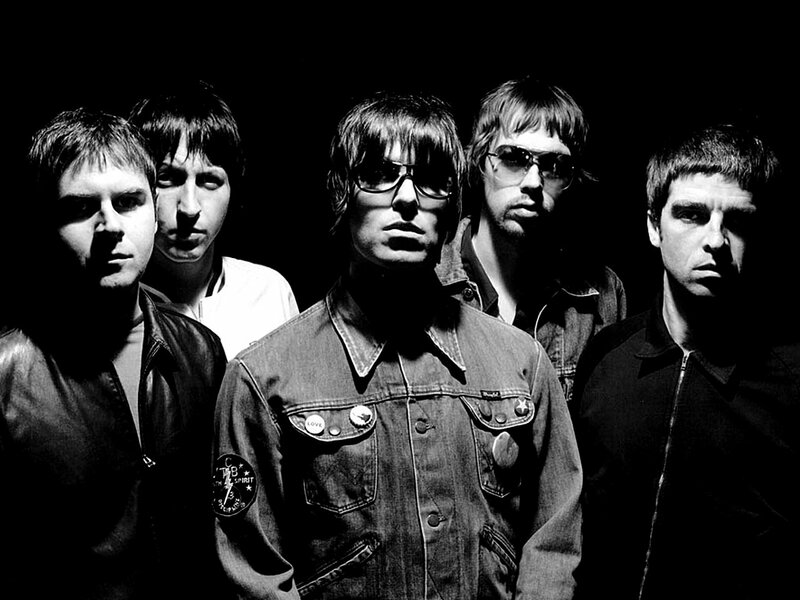 It’s “Wonderwall“, one of the best work of the English rock band Oasis, formed in 1991 by Paul “Bonehead” Arthurs, Liam Gallagher, Noel Gallagher, Paul “Guigsy” McGuigan and Tony McCarroll. But they were a band until 2009. That’s because Noel Gallagher (guitarist, singer, composer and songwriter) decided to pursuit the soloist career. Even if now Oasis do not exist anymore, we’ll always remember their beautiful songs. Among their best works we have to mention the famous album “(What’s the Story) Morning Glory?” (1995), which became a commercial success selling over four million copies. This made it the fourth best-selling album in UK Chart history. This album contains 3 beautiful songs: “Wonderwall“, “Champagne Supernova” and “Don’t Look Back in Anger“. The last one song is partly an homage to John Lennon: in the video, the singer is wearing John-looking glasses and the intro is similar to “Imagine“. Have you ever eaten a cheesecake? Cheesecake is a sweet dessert famous all over the world, especially in America. It is a not-baked sweet consists of a base of dough made up of cream with sweetened cottage cheese, which is processed with other ingredients. To make the base you can use the moistened coffee with biscuits, syrup or liquor, or crushed and then repulped with the addition of butter or egg yolk, or even it can be made up of sponge cake or pastry. To prepare the cream you can usually use fresh and very soft cheeses such as ricotta, mascarpone cheese or other spreads. The cheesecake is often enriched with fresh fruit or chocolate, but you can also use other ingredients such caramel or toffee. Their recipe can be different. 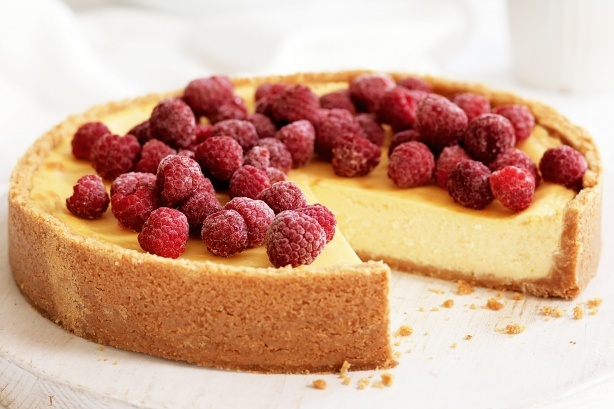 For instance, in the United States the majority of the cheesecake includes the use of cream cheese or Quark cheese. The type of cheese that you use will affect the texture and taste of your cake. However, there’s not a universal recipe of cheesecake. You can modify and combine the ingredients in various ways! Today we’ll show you 3 delicious and similar recipes of this dessert: blueberry cheesecake, chocolate cheesecake and pistachio cheesecake. The blueberry cheesecake is a very unique and tasty not-baked cheesecake,such as many baked or not-baked cheesecake, which you cook in every moment of the year. With a mixer crush the biscuits until you have a fine grain. Mix this grain with melted butter. Take a pan and form the first level (a few cm of height) with the biscuit and butter grains. Put the pan in the refrigerator for at least 30 minutes to solidify the layer of biscuits. Then, soak the gelatine in cold water. Put 150 grams of blueberries in a saucepan with water and brown sugar. Cook these ingredients for about ten minutes. After cooking, strain the juice and add half of the squeezed gelatine. Mix well. Heat the milk with the vanilla seeds and add to fire off the other half of the squeezed gelatine. Let it dissolve. Mix in the same bowl mascarpone cheese, sugar, yogurt and whipped cream. Separate this mixture into two bowls, then add one-half of the blueberry juice and to the other one add milk and vanilla. In this way you’ll obtain a white cream and purple color cream. Take back the pan with the biscuit base from the refrigerator and put inside the creamy white. Then, put in the refrigerator to firm up for at least two hours. After this time if the white layer will be firmed put over the layer of purple blueberry cream and put back in the refrigerator to firm up the cheesecake for two hours. After this time, take out the cheesecake and decorate the surface as you prefer with the remaining blueberries! If you’re not a cheese lover, chocolate cheesecake is perfect! Take a pan and form the first level with the biscuit and butter grains. Then, add the melted chocolate on the top of the cake and put all back in the refrigerator to firm up the cheesecake for two hours. After this time, take out the cheesecake and decorate the surface as you prefer! These type of cheesecake is very tasty! Crush the biscuits and add them to with melted butter. Then, add the pistachio cream on the top of the cake and put all back in the refrigerator to firm up the cheesecake for two hours. Finally, take out the cheesecake and decorate the surface as you prefer! These are just 3 of the various cheesecake recipes. If you don’t like blueberries, chocolate and pistachio you can cook other types of cheesecake, recycling these recipes and just changing the main ingredient! If you are not a brilliant chef you can buy these desserts. Where? Cheesecake, nowadays is available in pastry shops, restaurants, bars, coffee shops or even in the best supermarkets! 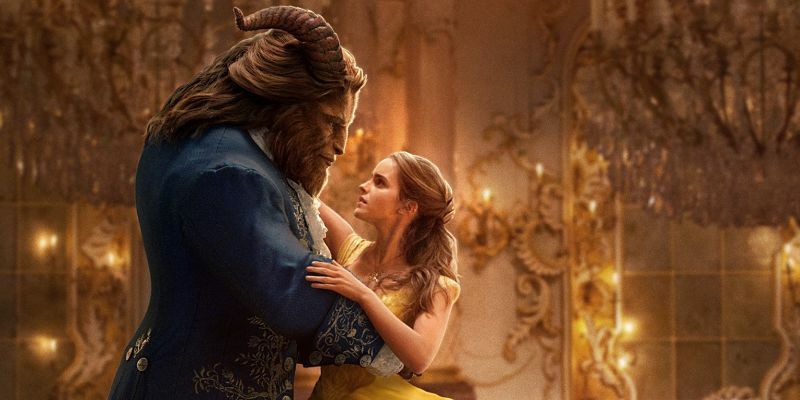 The famous fairy tale Beauty and the Beast has returned with a movie, having the partecipation of Emma Watson, who interprets Belle. Do you know the history of this unforgettable Disney animated movie? Villeneuve is a French village, where life is very monotonous. Belle, daughter of Maurice who is an eccentric local artist, dreams for herself a different life. One day, after being attacked by wolves on the market street, Maurice finds refuge in a ruined castle, not knowing that this dark and mysterious place is actually home to a fearsome beast. Belle, worried for the situation, goes to search him. The only way to release her father is taking his place. So she became the guest of that cursed place where people have the appearance of talking furnishings and their master is a rude and heartless monster. But thanks to her courage, she manages to be strong against the brutality of the beast. However, after an episode of rescuing, she notices the most kind and generous side of the beast. Accordingly, between them, a tender friendship is born. Thus, all the talking “objects” begin to hope that Belle is his true love and she can break a mysterious spell. Did you know the benefits of Dark Chocolate? 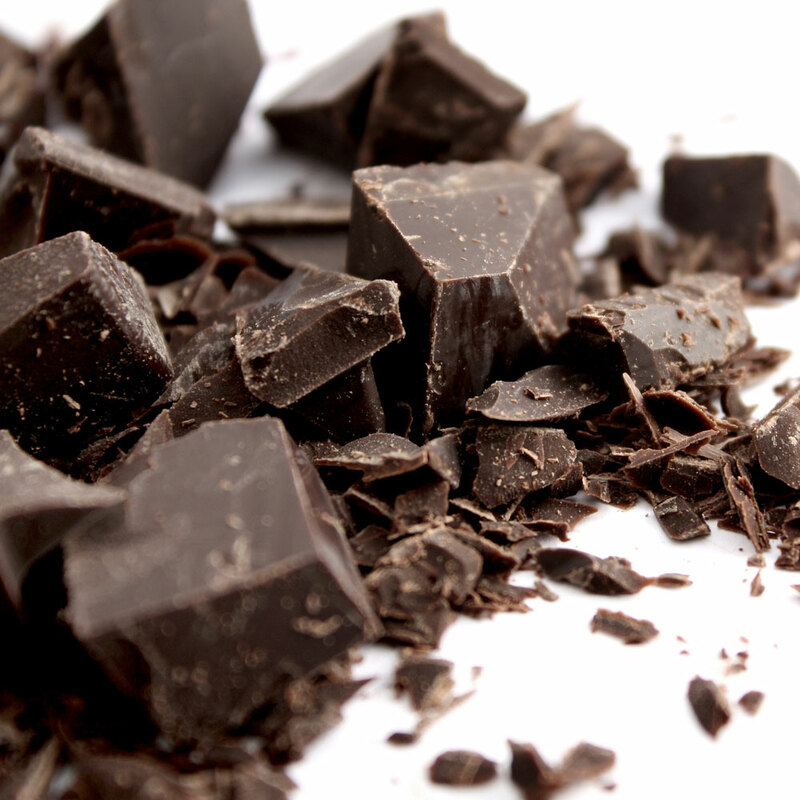 If you buy dark chocolate with a high cocoa content, a lot of benefits there will be for your health and your brain! It improves Blood Flow and Lower Blood Pressure, allowing arteries to stay flexible and dilated. Serotonin is produced by the brain and it determines the mood. When the production is not enough, it can bring us to depression. Therefore, dark chocolate plays a natural and antidepressant action on the nervous system, making us more excited. It can improve the brain functions, helping us to think better. However, the healthiest chocolate ingredient is cocoa; therefore, to obtain these results, you have to prefer a chocolate with at least 70% cocoa. Chocolate, in fact, contains many other substances that are not as beneficial,such as sugar. 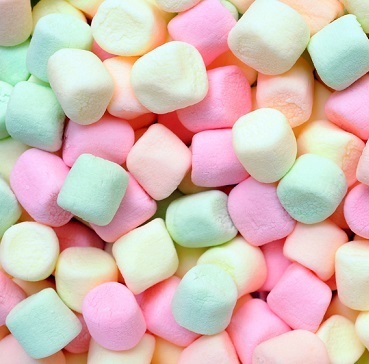 Marshmallows are soften sugar candies, which are famous all over the world. They can have various shapes and sizes: the most popular type is like a small cylinder. In addition, marshmallow can be of different colors, depending on the ingredients and the use of colorants. The main production of this type of candy is made in the United States, but their first recipe didn’t born in America. Maybe you don’t know that marshmallow appeared for the first time in Egypt according to a similar recipe, having a medical purpose.In fact, Egyptians prepared these candies to prevent irritations, gastritis and sore throats. Only in the 19th century, French people modified this recipe, making marshmallows as a sort of “dessert”.However, they were just similar to the contemporary marshmallows. So, when there was the real built of “our” marshmallows? In 1948, the American Doumak company patented a fully automatic and mechanized production method, which can produce large amounts of marshmallows. In different ways: as simple candies, cooked over fire putting them into skewers (this tradition is very diffused in America), or as decorations. For instance, they can be served with cookies, ice cream, fruit, cake, or even hot chocolate! The United States flag (often known as the American flag) consists of 13 horizontal red and white stripes (the colors are alternate). In the upper side, near the rod, there is a blue rectangle with 50 small white five-pointed stars, which lays in nine rows of six or five stars alternating. The stars represent the 50 states of the United States of America and the 13 stripes represent the original thirteen colonies. The flag is also named “Stars and Stripes” or the “Old Glory“. This term, however, technically refers to the version with 48 stars used from 1912 to 1959. Because of social and political reasons, this flag underwent many changes since the 13 British colonies of North America adopted it for the first time (in 1977, during the American Revolutionary War). 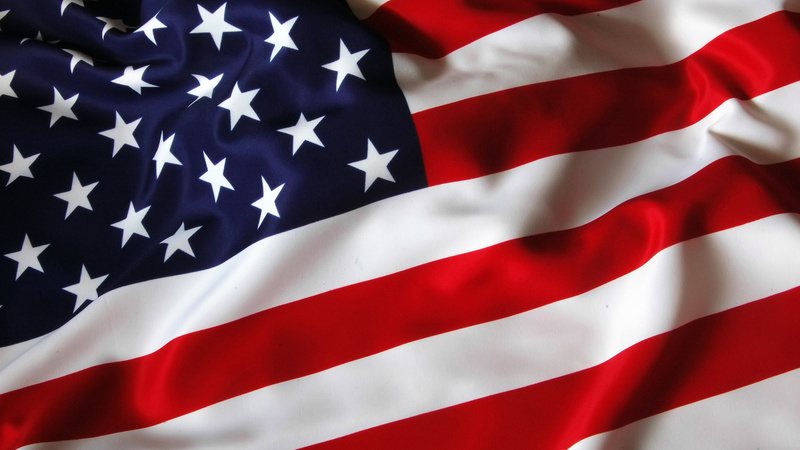 For the citizens of the United States, the flag contains a rich symbolism: it represents the rights guaranteed by the Constitution and the Bill of Rights. It is also a cultural icon and a symbol of individual freedom. Did you know? The United States flag is the only one to be present on a celestial body different from the Earth: the Moon. These flags have been planted in the ground by the astronauts of the Apollo 11 mission. 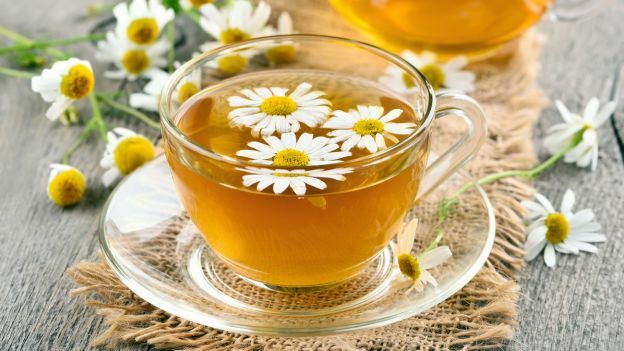 Chamomile is an herb that people use everyday and it can be found everywhere in the summertime. So you can harvest it especially in this season and it is quite simple to recognize but there are many similar flowers (for instance the daisies). Therefore, it is necessary to pay attention to a few details: the shape of petals, the dimensions and the smell. Since ancient times, it has been considered one of the perfect natural solution to little problems of health. You can use chamomile through infusions, compresses, creams or lotions (f.i. the essential oils). Finally, you can also cultivate it. The best time of the year to plant chamomile is the late winter because it grows well thanks to dry and warm temperatures. If their flowers disappear after summer do not worry: their seeds will survive for the following springtime. The world of magic: Disneyland Paris! Have you ever been in Disneyland Paris? This place is the heaven of children but it is also loved by adults. In Paris (Marne la Vallée), the magical world of Disneyland is divided into two large parks: Disneyland Park and Walt Disney Studios. The first one is divided into four areas: Fantasyland, Adventureland, Discoveryland and Frontierland. This area is full of rides and entertainments for everyone. The air that you breathe here is unique: there are streets created according to the American style and there is also music of the Disney cartoon motions. 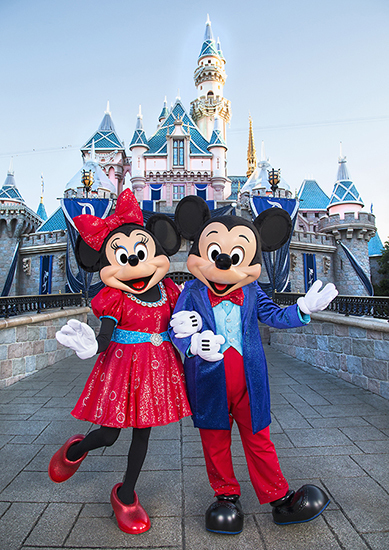 However, you also have to opportunity to meet different Disney characters, such as Mickey Mouse (which is the main protagonist), Minnie Mouse, Donald Duck, Daisy Duck and many others. While, the second park relates to the cinema: it is a full immersion in the world of Hollywood. Thanks to several entertainments, you will discover some special effects and unique backgrounds behind the scenes of films. In addition, near the two parks, there is an area named Disney Village: here there are several souvenir shops, restaurants and bars. So, if you want to spend an alternative weekend made up of fun with your family or your friends, Disneyland is the perfect choice!